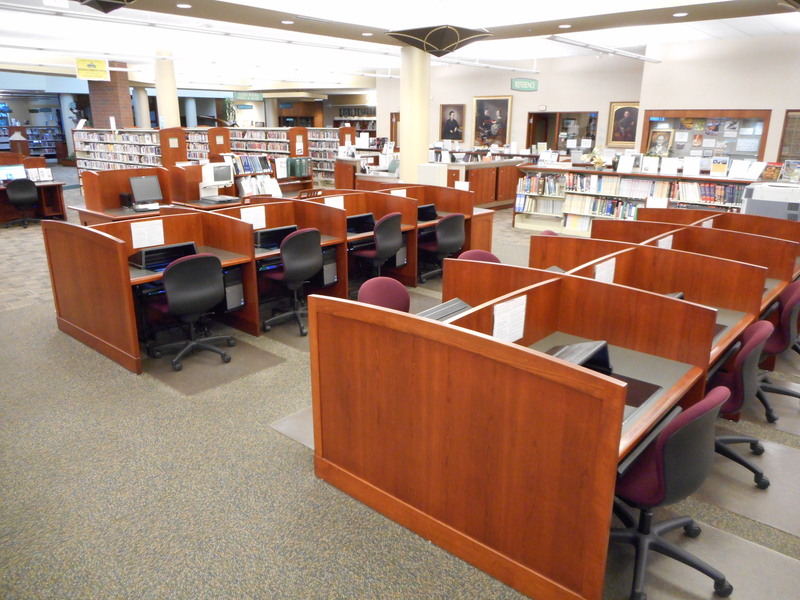 Adults may use the 14 public computers available by the adult reference desk. Cardholders from Spring Lake and other Lakeland Libraries may use these for up to 6 hours per day. Non-cardholders can get a guest pass for 60 minutes per day. Children under 17 may use the adult computers in the presence of their parent or guardian after completion of a waiver form by the parent or guardian. Each computer has internet access, several internet browsers, Microsoft Office, Windows Media Player, and Adobe Reader. Headphones are available to borrow if one wishes to listen to music or watch videos. There are 8 public computers available in the Youth Services section for use by children 17 and under. Cardholders from Spring Lake and other Lakeland Libraries may use 90 minutes per day. Non-cardholders can get a guest pass for 60 minutes per day. Also available are 3 Early Literacy Stations with educational games for young children. All are welcome to use the 6 computers in the Tech Lab. These computers don’t have internet access and there is not a time limit for use. The computers all have Microsoft Office, Adobe Photoshop Elements 12 & Adobe Premiere Elements 12. Also in the Tech Lab is an iMac that can be checked out for 3 hours per day per person. Internet is available on the iMac for use by patrons working on projects with the Digital Media Lab. 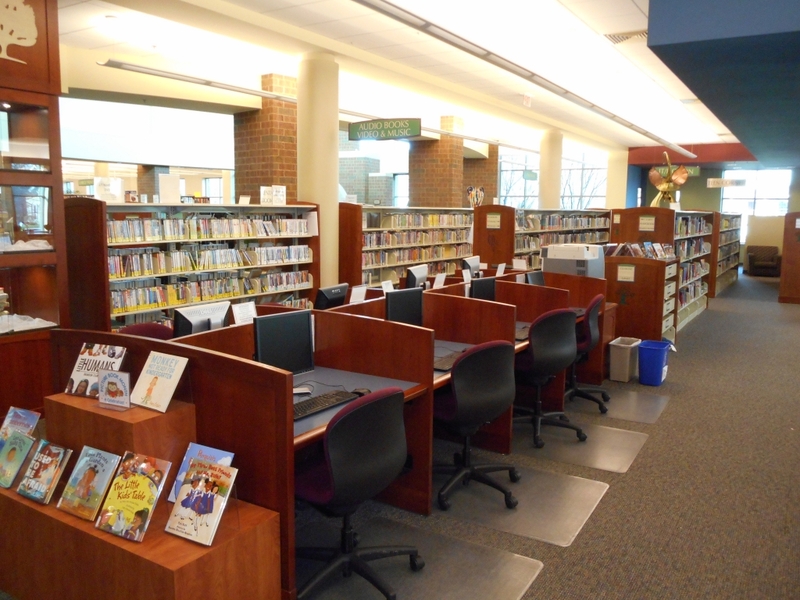 In compliance with state and federal laws, all computers in public libraries have internet filters. Filtering is not foolproof and should not be relied upon to block all sites that may be considered objectionable. Filtering may block sites that are not considered objectionable. Our staff will deactivate filtering upon request on computers in the adult area for patrons aged 17 and above. 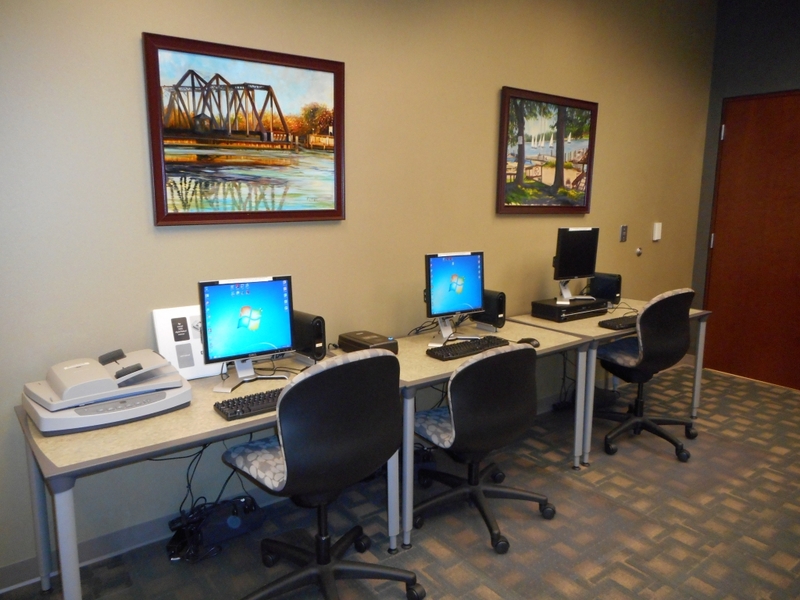 We have wireless internet access available throughout the building. The network name is SLDLGuest, and no password is required for access. All users must agree to and abide by our Internet and Computer Usage Policy while using our public computers or Wi-Fi.